Fabulous location!! This home sits perched on the hill with mountain views on a quiet tree lined street in Renfrew Heights. Custom home built in 1958 for the current owner. Home is very well maintained and worth updating, other options are to hold or build, all have great possibilities. 33 x 110 flat lot with 2nd floor view potential and laneway home. Beautiful oak inlaid floors throughout the main, wood burning fireplace, kitchen has been updated, 2 good size bedrooms and full bath. Down offers a huge rec room, 3 pce bath and large laundry/utility & storage room, bonus full height ceiling. Oversized single car garage updated with newer roof. 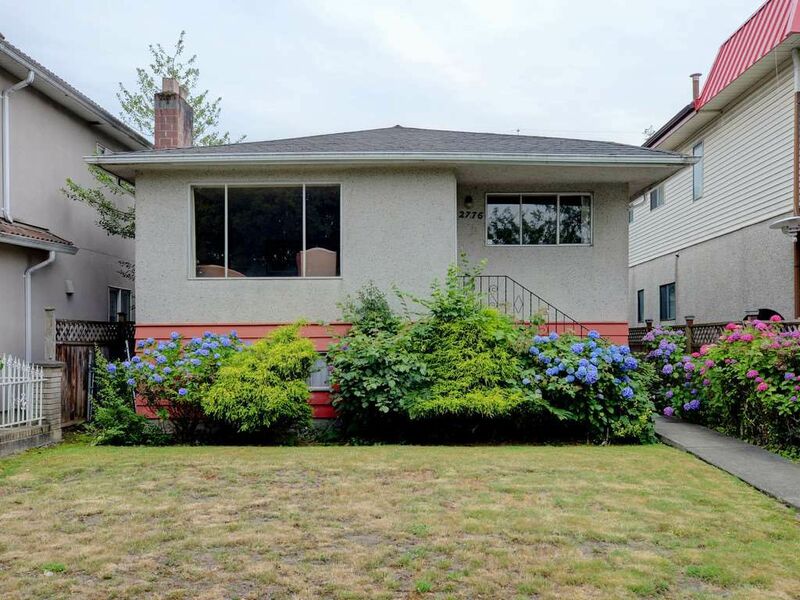 Close to amenities, Skytrain, and transit.